King 5 News reported Friday that hundreds of people lit and smoked marijuana at a party under the famed landmark the Seattle Space Needle. The party was a lawful event that received a permit from the city, though activist Ben Livingston said it took him three months to persuade them to issue the permit. Click here for the article and video footage. Via TheWeedBlog. Last Tuesday, a judge allowed a medical marijuana patient to continue to use while on probation, even though her plea agreement strictly forbade it. The county attorney in the case had added a blanket condition to plea agreements prohibiting offenders from using marijuana regardless of whether they hold medical marijuana cards, but the woman's attorneys argued that the clause violated state law and that prosecutors could not legally prohibit probationers from using medical marijuana. The judge agreed. The county prosecutor is expected to appeal. On Tuesday, advocates and doctors urged the state to add PTSD as a condition treatable with medical marijuana. The occasion was a public hearing at the Arizona Department of Health Services. 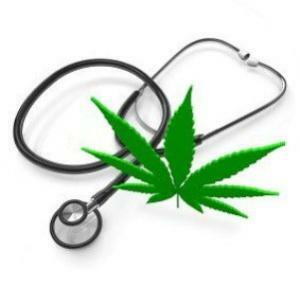 The state currently allows marijuana for eight specified medical conditions. The department will make its decision by January. Also on Tuesday, the ACLU of Arizona filed a lawsuit requesting that the courts officially rule that extracts are covered under the state's medical marijuana law. The suit was filed in a bid to protect the parents of a 5-year-old boy suffering from epilepsy from criminal prosecution for treating him with marijuana-derived oil. Extracts are currently in a legal gray area in Arizona, where police and some prosecutors say they are illegal and the Department of Health Services is still "developing guidance to clarify these issues," even though that guidance was supposed to be completed this month. On October 16, Mendocino County announced it had released more records to the federal government related to the former marijuana grow permitting program that allowed growers to have up to 99 plants per parcel. The county was responding to a second set of federal subpoenas, this one for a "limited number" of records concerning the program. An earlier subpoena was much broader, but was fought by the county. The county and the feds reached an agreement in April to release some records, but with the names of participants redacted. Also on October 16, the Selma city council banned dispensaries and imposed tight restrictions on medical marijuana grows. The Fresno County community will require growers to register, get building permits, and stay 1,500 from sensitive uses, and no outdoor grows are allowed. The new ordinance is a slight improvement on a 2010 ordinance that banned all medical marijuana uses in the city. Also on October 16, word came that the Justice Department has abandoned some asset forfeiture proceedings against medical marijuana landlords. The US Attorney for the Central District of California, Andre Birotte, dropped at least four cases in October. But other US Attorneys in the state continue to pursue asset forfeiture cases, including pending cases against landlords for Harborside Health Center and the Berkeley Patients Groups. On October 17, medical marijuana activist Lanny Swerdlow prevailed in a civil trial against anti-drug crusader Paul Chabot. Swerdlow had alleged false arrest and malicious prosecution after a 2007 incident at a Rancho Cucamonga meeting. The jury found for the false arrest, but not the malicious prosecution, and awarded Swerdlow $5,000 for past losses. They will meet again to determine punitive damages. On October 18, the owners of a former Vallejo dispensary filed suit against the city alleging abuse of power, excessive force, and retaliation after it was raided by police last year. Daniel and Rhonda Chadwick, owners of Homegrown Holistic Cooperative, Inc., claim the city retaliated against them after Daniel Chadwick spoke out at a contentious city council meeting after a series of dispensary raids. Police in Vallejo raided at least six dispensaries there in 2012 even though the city had voted the year before to tax dispensaries -- not shut them down. All of those cases fell apart, but the damage had been done. On October 17, the Westport planning and zoning commission approved a moratorium on dispensaries and producers. The moratorium would last for a year, while the community has a chance to wrap its head around "the newness" of recently issued state regulations. On Monday, the Farmington planning and zoning commission passed a six-month moratorium on medical marijuana facilities. The commission wants town staff to have adequate time to research the new state regulations. 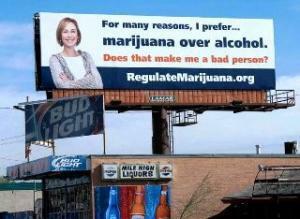 On October 22, the Marijuana Policy Project criticized Gov. Markell's dispensary plan. State law calls for three dispensaries, but Markell had delayed opening any dispensaries for the last two years after receiving a threat letter from federal prosecutors. Markell has now moved forward, but said he will support opening only one dispensary next year. Last Thursday, state Attorney General Pam Bondi challenged a proposed ballot initiative for a medical marijuana constitutional amendment. The attorney general is required by state law to send initiatives to the state Supreme Court for review, but Bondi also attacked the initiative, saying if it passed, "Florida law would allow marijuana in limitless situations" and warning that it conflicted with federal law. The court will hear arguments on December 5. Last Friday, Sen. Tina Muna-Barnes filed a medical marijuana bill. The bill would require that all medical marijuana come from Guam itself. Last month, Muna-Barnes introduced a resolution to decriminalize marijuana for medical purposes that won broad support at a public hearing. On Sunday, the Guam Medical Association complained it hadn't been consulted. The association didn't take a position for or against, but said it thought it should. On October 16, a Bolton town meeting decided to approve a moratorium on medical marijuana dispensaries and grow operations. 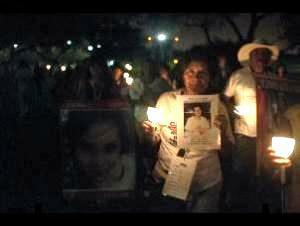 The moratorium would prevent such facilities until June 30, 2014. Last Wednesday, a Saugus town meeting voted to approve a moratorium on dispensaries. The moratorium will stay in effect until September 30, 2014, or until local zoning bylaws are adopted. On Monday, Wareham voters approved a zoning law that allows medical marijuana treatment centers. The law replaces a temporary moratorium on such businesses that was voted in at the spring town meeting. The centers will be allowed in an "institutional district." On Tuesday, Framingham selectmen gave the go-ahead for staff to take dispensary applications.There are at least a dozen proposals pending for dispensaries or grow operations in the city. A Special Town Meeting last week rejected a zoning bylaw and proposed overlay district that would regulate medical marijuana dispensaries and growing facilities. The town is developing a ranking system to rate applicants. Last Friday, an Ingham County judge ordered an infant child returned to her medical marijuana using parents. Steve and Maria Green's daughter Bree had been removed by Child Protective Services last month, but the judge found no evidence of abuse or neglect. The parents agreed not to medicate around their children, but said that's how they've handled things all along. On Monday, the state's second medical marijuana dispensary opened. The Compassionate Care Foundation opened in Egg Harbor, making it the first in South Jersey. The state legalized medical marijuana in 2010, but the Christie administration has made the roll-out excruciatingly slow. Now, though, things are starting to roll. A third dispensary is slated to open in a couple of weeks in Woodbridge Township, and the state Department of Health is in licensing talks with three other facilities. Last Tuesday, two Dickinson residents entered conditional guilty pleas to marijuana possession, enabling them to appeal to the state Supreme Court that their out-of-state medical marijuana guards should have allowed them to possess marijuana in North Dakota. 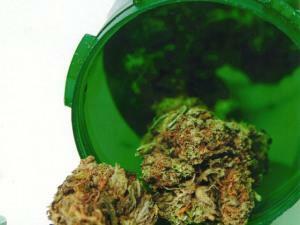 Their lawyers will argue that the medical marijuana recommendations should be a valid defense. Last Friday, the panel charged with crafting rules for dispensaries met again. The legislature this year passed a bill to regulate the medical marijuana system statewide, and this was the panel's second meeting. It is expected to finish its work by December 1. Last Tuesday, a poll found support for medical marijuana at 71%. The state has taken no action to approve the medical use of the plant, but perhaps some legislators will take heed. On Sunday, Sen. Jeanne Kohl-Welles warned that the battle for homegrown medical marijuana is not over. State agencies charged with implementing marijuana legalization under the I-502 initiative have proposed eliminating patient grows under the state's medical marijuana program, but that effort has ignited a firestorm of criticism from patients. Now, they have at least one prominent supporter in the legislature. Last Tuesday, 18 legislators cosponsored a medical marijuana bill. The bill, Senate Bill 363, would allow for dispensaries and home cultivation. Patients or caregivers could grow up to 12 plants and possess up to three ounces at a time. The bill has been assigned to the Senate Health and Human Services Committee, chaired by Republican Senator Leah Vukmir, but has not yet been scheduled for a committee hearing. The three state agencies and the governor's office that constitute the state's medical marijuana working group on Monday released their draft recommendations for dealing with medical marijuana in the era of legal marijuana possession and state-licensed marijuana stores under the I-502 initiative. Their recommendations would essentially gut the existing medical marijuana system, and patients and advocates are crying foul. 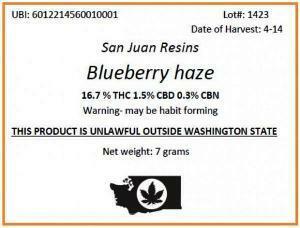 What's the future for medical marijuana in Washington? The recommendations from the State Liquor Control Board (which is in charge of implementing the I-502 regime), the Department of Health, and the Department of Revenue would allow state-registered patients to purchase tax-exempt marijuana from the 334 stores envisioned under I-502, but would also reduce the amount patients could possess from 24 ounces to three ounces, require doctors to register patients with the state, remove the affirmative defense for medical marijuana patients, and end the right to petition for new medical conditions to be added. The recommendations also call for eliminating the right of patients to grow their own, either individually or collectively, require existing dispensaries to comply with I-502 regulations, and force out of business those that can't. That would bring the state's medical marijuana system in line with I-502's no home grow provision. While I-502 only envisions legalizing marijuana for adults 21 and over, the recommendations would allow 18-to-20-year-olds to use medical marijuana, but patients under the age of 18 would only be allowed to use it with parental consent and could only possess one dose at a time. The state agencies will make their final recommendations by January 1, when they must send a final report to the state legislature, but in the meantime, they are taking for public comment between now and November 8. They can expect to get an earful from an angry medical marijuana community. "Washington was one of the first states in the nation to recognize that patients under a physician's care have the right to use medical marijuana," said Steph Sherer, executive director of Americans for Safe Access (ASA). "The needs of this vulnerable population are distinctly different from the wants of recreational users and it's vital that elected officials understand the difference." ASA, which worked with local activists to create the Health Before Happy Hour campaign to try to ensure that medical marijuana patients don't get run over by the legalization bus, is also holding a series of stakeholder meeting to mobilize the community and protect what it views as its hard-won rights. Those meetings will be held between October 27 and 30 in Bellingham, Olympia, Seattle, Spokane, and Yakima. ASA created that campaign in part because of ominous portents coming from state officials and other key players. In May, Liquor Control Board spokesman Brian Smith warned that competition from the medical marijuana market will pose "a challenge" to the viability of the state's new recreational program, while state Rep. Chris Hurst (D-Enumclaw), chairman of the House Government Oversight and Accountability Committee, more recently called the medical marijuana industry "a sham," and urged the task force to recommend that all of the state's dispensaries be shut down. Then, Mitch Barker of the Washington Association of Sheriffs and Police Chiefs chimed in to claim that "the two (laws) are not going to be able to exist side by side for very long." As if that weren't enough, the DEA continues to raid dispensaries, and US Attorneys continue to menace patients and providers. US Attorney Jenny Durkan qualified the state's medical marijuana system as "untenable," and vowed to shut down the dispensaries. "We are living with HIV/AIDS, end-stage cancers, epilepsy, multiple sclerosis and other serious, often painful and debilitating diseases," said Paul Feldman, who experiences relief with the help of medical marijuana. "It is wholly inappropriate to force us to get our medicine from anything resembling a liquor store and equally unacceptable to make patients pay an excise tax," continued Feldman. "No other medication is taxed this way and cannabis shouldn't be either." Instead of gutting the medical marijuana program, the Health Before Happy Hour campaign is calling for a system of state-licensed and regulated dispensaries outside the scope of I-502. The campaign is supporting legislation similar to Senate Bill 5073, the proposal previously sponsored by Sen. Jeanne Kohl-Welles (D-Seattle) which was partially vetoed in 2011 by then-Governor Christine Gregoire (D). Thirteen states, the District of Columbia, and the federal government have already passed laws making simple drug possession a misdemeanor instead of a felony, and the momentum appears to be growing. A bill in California to do something similar has passed the legislature and is currently sitting on the governor's desk, and efforts are afoot to push a defelonization measure through the Washington legislature next year. Such measures are designed to ease prison overcrowding, ease pressures on budgets, and help drug users by avoiding saddling them with felony convictions. They also reflect increasing frustration with decades of drug prohibition efforts that have failed to stop drug use, but have resulted in all sorts of collateral costs. In California alone, even after Gov. Jerry Brown's (D) prison realignment scheme, more than 4,000 people remain in state prisons on simple drug possession charges. 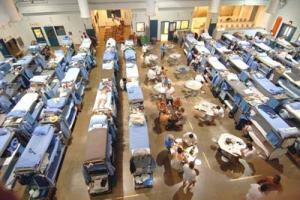 At $47,000 per inmate per year, that comes out to more than a $200 million annual bill to state taxpayers. Under current California law, people convicted of a drug possession felony can be sentenced to up to three years in prison. More than 10,000 people are charged with drug possession felonies each year, although many of them receive probation if convicted. 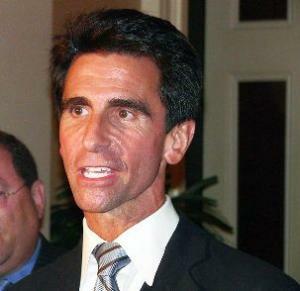 California state Sen. Mark Leno (D-San Francisco) moved to redress that situation with Senate Bill 649, which passed the legislature on the final day of the session. The bill is not a defelonization bill per se; instead, it makes drug possession a "wobbler," meaning it provides prosecutors with the flexibility to charge drug possession as either a felony or a misdemeanor. "Our system is broken," said Lynne Lyman, California state director for the Drug Policy Alliance, which supported the bill. "Felony sentences don't reduce drug use and don't persuade users to seek treatment, but instead, impose tremendous barriers to housing, education and employment after release -- three things we know help keep people out of our criminal justice system and successfully reintegrating into their families and communities." Even Republicans got on board with the bill, helping to get it through the Assembly earlier this year. "I am proud that we got bipartisan support in the Assembly," Leno told the Chronicle. The bill currently awaits Gov. Brown's signature, and although his signature is not required for it to become law, Leno said he believed the governor would act on it, and he urged supporters to let the governor know now that they want him to sign it. "Anyone can go to the governor's web site and offer support through an email communication," Leno said. "I am always hopeful he will sign it." While Californians wait for the governor to act (or not), activists and legislators in Washington are gearing up to place a defelonization bill before the legislature there next year. Sensible Washington, the activist group behind the effort, says it has lined up legislative sponsors for the bill and will pre-file in December for next year's legislative session. State Rep. Sherry Appleton (D-Poulsbo) will be the primary sponsor of this proposal in the House. Reps. Joe Fitzgibbon (D-Burien), Jim Moeller (D-Vancouver), Jessyn Farrell (D-Seattle), and Chris Reykdal (D-Tumwater) have all signed on as official cosponsors, with more to be announced soon. Sensible Washington hopes to have a companion bill filed simultaneously in the Senate. Under current Washington law, the possession of any controlled substance (or over 40 grams of cannabis) is an automatic felony. Under this new proposal, the possession of a controlled substance -- when not intended for distribution -- would be reduced from a felony charge, to a misdemeanor (carrying a maximum sentence of 90 days, rather than five years). Laws regarding minors would not be affected. "Removing felony charges for simple drug possession is a smart, pragmatic approach to reducing some of the harms associated with the war on drugs," said Anthony Martinelli, Sensible Washington's communications director. "The goal is to stop labeling people as felons, filling up our prisons and ruining their lives in the process, for possessing a small amount of an illegal substance." He elaborated in a Tuesday interview with the Chronicle. "We support full decriminalization, like the Portuguese model, but defelonization is a big step forward, and we feel that the public and lawmakers are ready for it," he said. 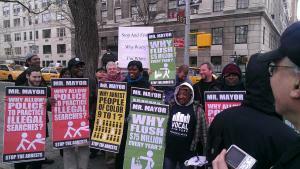 "We have to find a way to deal with the dangers of the war on drugs. Another reason is the massive disparity in our cannabis law -- an ounce is legal, but an ounce and a half is a felony. This would remove felonies for cannabis possession, but we don't think anyone should be hit over the head with a felony for personal drug possession." Martinelli said Sensible Washington and its allies would be spending the next few months preparing to push the bill through the legislature. "We will be building public and legislative support, continuing to work on garnering media attention, activating our base, and getting more lawmakers on board," he said. "We're really trying to form a bipartisan coalition and get other organizations involved as well." One of those groups is the ACLU of Washington. Sensible Washington and the ACLU of Washington were bitter foes in the fight over the state's successful I-502 marijuana legalization initiative -- Sensible Washington opposed it as a half-measure that endangered medical marijuana, a claim that ACLU and other advocates contested -- but appear to be on the same page when it comes to this sentencing reform. "We support the decriminalization of drug use", said Alison Holcomb, criminal justice project director for the ACLU of Washington. "We're looking forward to working in collaboration with Sensible and its allies to achieve that goal." Martinelli said he could now announce that the proposed bill has picked up its first Senate sponsor, Sen. Jeanne Kohl-Welles (D), to add to its growing list of House sponsors. Missing from that list of House sponsors is one of the most prominent drug reformers in the House, Rep. Roger Goodman (D-Kirkland), the chairman of the House Public Safety Committee, but that's not because he opposes the idea, Goodman told the Chronicle Tuesday. "As chair of the committee, it's important for me to be an honest broker to get legislation through," Goodman explained. "My position as chair is weakened if there is a potentially controversial issue and I'm seen as being on one side of it. It's not that I oppose it, and I certainly will hold a hearing on it and move it, but my role is more to facilitate negotiations on provisions of the bill without being an interested party," he said. It is an idea that is certainly worth pursuing, he said. "We need to reprioritize. The tough penalties we impose on people for merely possessing drugs is so arbitrary compared to the penalties for other offenses where there is direct physical harm perpetrated against others," Goodman said. "And by now, we all acknowledge that drug possession is not merely an indiscretion, but might be linked to behavioral health issues. Our approach should be to facilitate therapeutic interventions. We have deferred prosecution programs already, but only for alcohol. Those arrested for drug possession are not eligible because it's a felony. If we could make deferred prosecution available for drug cases, we could make much more headway on the problem," he said. And doing so would only codify what is already often existing practices, he said. "Many or most courts and prosecutors are already pleading down felony drug cases to misdemeanors because of budget constraints and space limitations in the jails," Goodman noted. "We can change the law to conform with that practice without an additional threat to public safety. Beyond that, we could remove the prejudicial effect of a felony conviction when it is so evident they hinder people from reintegrating into the community." While Sensible Washington and its allies are moving full steam ahead, passing the bill could be a multi-year effort, Goodman warned. "I anticipate prosecutors saying that if we set a certain possession threshold, drug dealers will make sure they possess no more than that amount and will play the system," he said. "We have to figure out a way to find a threshold or divide possession cases into degrees. I hear the concern, but I'm not sure what the solution is. But this is a next important phase of drug policy reform: cranking down the drug war yet one more notch and doing what's rational and fiscally responsible." There is lots of work to be done, Goodman said. "We'll see how this plays out in the legislature. It's probably going to need more lobbying and more background discussion among more legislators," he predicted. "So far, it's not a real prominent topic, so it might end up being a work in progress. But who knows? It might catch on fire, and we'll get a quick consensus." The state of Washington has chosen its official marijuana consultant as it marches boldly forward toward implementing the voters' decision to legalize marijuana at the polls last November. The State Liquor Control Board, which is charged with overseeing the nascent legal marijuana business, announced Monday that it had selected a Massachusetts-based firm headed by academic drug policy analyst Mark Kleiman. The firm, Botec Analysis Corporation, has been in existence since the mid-1980s and has won contracts to evaluate government programs and done consulting on drugs, crime, and public health. Botec advised the Office of National Drug Control Policy on demand reduction programs in the early 1990s and has studied efforts to suppress heroin dealing in Lynn, Massachusetts, among other projects. Kleiman, a professor public policy at UCLA, has written a number of books on drug and criminal justice policy, including coauthorship of last year's primer, Marijuana Legalization: What Everyone Needs to Know. Some of his stands over the years, including the contention that states couldn't legalize marijuana because the federal government wouldn't allow it, have irked drug reformers, and some reacted with skepticism to news of the appointment. Tom Angell, chairman of Marijuana Majority, told the Associated Press Kleiman needed to answer some questions. "You might ask him if he's either changed his mind or if he intends to advise the state on undermining the will of the voters," Angell said. Kleiman in turn responded on his blog. The Liquor Control board sifted through more than 90 applications for the consultant position, and Botec outscored all comers. At this point, the decision is provisional; rejected applicants can challenge the selection, but if no one challenges or any such challenges fail, Botec is it. Botec's job will be to advise the state on how build a newly legal industry from scratch. That's going to include such nuts-and-bolts issues on how many growers and retail outlets there should be, how products should be packaged, testing requirements, and even store hours of operation. Meanwhile, all parties concerned are waiting for the federal shoe to drop. Stay tuned. This is going to be interesting. Prof. Kleiman has responded to concerns raised over his remarks during the Prop 19 campaign in California, predicting that Prop 19 would cause prices to plummet and that the feds would have had to intervene in ways going beyond how they've dealt with the medical marijuana trade. He doesn't see that happening in Washington State; he thinks it may well happen in Colorado. He called it a "fair question." Kleiman did not address the argument I raised in my post last night for why I doubt his analysis. I reasoned that continuing federal prohibition would have prevented Prop 19 from causing the kind of price drop from occurring in California, in the same way that the extensive medical marijuana industry hasn't seen price drops -- because it's too risky to create the industrial level grows and distribution systems that would be needed to achieve that kind of price drop -- a point raised by his coauthors during recent talks and fora. I'm not making anything out of the fact that Kleiman hasn't addressed that point, by the way -- I don't know that he's read my post yet, and that particular point did not appear in the mainstream media articles he surely did read. Nor do I think that much should be made of it in 2013. But that's how I see that particular point, and therefore how I view that two and a half year old editorial. I'm still cautiously optimistic, after reading the response, maybe even a little "excited" (I confess) as Kleiman wrote that he and his colleagues are feeling. Some of my colleagues have commented, and I tend to agree, that a cautious approach to implementing the Washington initiative is what will have the best chance of threading the federal needle and moving legalization forward -- especially in Washington, where the law allows for fewer licensed sales outlets and doesn't have home growing as Colorado does. And Washington or parts of it may provide our best shot at getting something resembling meaningful federal cooperation. Some of my colleagues probably disagree with me, and many undoubtedly feel we should be wary. As a practical matter, I agree that we should be wary -- it's our responsibility as advocates to be wary, whoever the state decides to bring in. But it's also not like we get to decide who does the work on this -- our direct power to influence this ended on election day -- and I wasn't really expecting it to be someone from the all-out legalization camp. As I wrote last night, time will tell -- about Kleiman et al's work, and about the future of I-502 and marijuana legalization in Washington State. 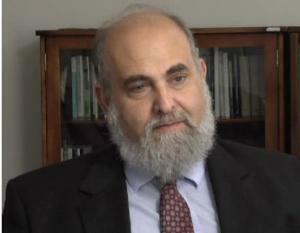 Prominent policy analyst and UCLA professor Mark Kleiman has won Washington State's consulting contract on I-502 implementation. According to Northwest Public Radio, "Washington's Liquor Control Board wants consulting help in four areas: marijuana industry knowledge, plant quality and testing, regulation, and to the extent possible, projecting how many people will use pot now that it's legal." "There's one problem with legalizing, taxing and regulating cannabis at the state level: It can't be done. The federal Controlled Substances Act makes it a felony to grow or sell cannabis. California can repeal its own marijuana laws, leaving enforcement to the feds. But it can't legalize a federal felony. Therefore, any grower or seller paying California taxes on marijuana sales or filing pot-related California regulatory paperwork would be confessing, in writing, to multiple federal crimes. And that won't happen." I think the quote deserves some criticism. Medical marijuana provision is also a federal felony, under the same law Kleiman cited with regard to legalization of marijuana. Kleiman's arguments in the piece -- that the feds can afford to largely ignore the medical marijuana industry only because prices remain high, and because regulation of medicine is traditionally a state matter -- are unpersuasive to me. Administrations in power during the medical marijuana years have not suggested that medical marijuana is a state matter; even Obama's inconsistently-respected "not a priority" position about going after businesses operating in compliance with state law, made clear that they can go after any medical marijuana business if they think it's in the federal interest to do so. And Kleiman or his coauthors during book talks and related fora I've attended have argued that we don't know what will happen to marijuana prices following state legalization in the face of continuing federal prohibition. One reason they've argued it might not is that federal prohibition makes it too risky to set up the very large scale growing and distribution infrastructures that are needed to bring down prices in the way that we'd predict from legalization at all governmental levels. Still, I count myself among the optimistic when it comes to Kleiman's work for Washington State. Kleiman prefers a very non-commercial form of legalization to any big sales model. But he's also suggested the federal government allow the Washington and Colorado experiments with legalization to take place. And whatever quotes I might take issue with from time to time, Kleiman is a very serious academic who's written extensively about the issue; and he's not a drug warrior, even if his support for legalization, even of just marijuana, tends toward the tepid. I expect he'll do the best job he can on this very high profile assignment -- that assignment being to advise on the implementation of legalization, not on whether it's a good idea. (I also saw Kleiman wearing a Students for Sensible Drug Policy t-shirt at the Takoma Park Folk Festival one year. :-)) I can think of plenty of people who might have been in the running for the job, who would make me a lot more nervous than Kleiman. But time will tell. Anyway, along with some articles linked here, CNN has pitched an interview with "Washington State's New Pot Czar" on "Erin Burnett OutFront" tomorrow (Tuesday) night. Perhaps the interview will provide some indicators of where Kleiman might go with this. The International Narcotics Control Board, a UN agency, and eight former DEA administrators came out swinging this week against marijuana legalization in Colorado and Washington. The INCB says the state laws violate UN treaties. The DEA chiefs want the Obama administration to sue to block the laws. Both of those positions may be overreaches. It's true that federal marijuana legalization would require revision of the drug treaties, if the US is not to be in violation of them (or for the US to do what Bolivia did by withdrawing and then rejoining "with reservations"). Legalization by Congress even just within states that have enacted it is also a likely treaty issue. But Colorado and Washington aren't parties to the treaties, and federal law remains in force within those states. The states have simply ceased to contribute their own resources to a part of the prohibition program. Under our federal system they very probably have the legal right to do so. And that is why the DEA chiefs have overreached as well. When one says that federal law is supreme in this area, it means that federal agents can use the powers they have to bring criminal or civil actions against marijuana users or sellers, despite the passage of state laws -- the Raich case decided that for medical marijuana, for reasons that would seem to apply to fully legalized marijuana too. But that doesn't mean the states have to help them. We have a federal system. As I've pointed out previously, no federal prosecutor in 16 years of state medical marijuana laws has ever argued in court that the states can't have those laws on their books. Clearly they've had incentive to do so, if they thought they could win that way. I don't argue that we know for sure how these points will come out if they are adjudicated -- it is new legal territory. But most legal scholars seem to think a preemption ruling would be a long shot outcome. So that is how it looks to me.